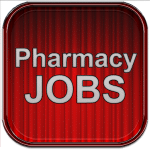 Pharmacy jobs are readily available in most geographical areas throughout the United States and new positions are opening up at a rate that hasn’t been seen in over a decade. Almost every type of pharmacy job is currently being posted and recruited for across the nation. This includes both full time and part time jobs for pharmacists in retail, hospital, clinical and specialty pharmacy settings. Also available are numerous job positions for qualified and experienced pharmacy technicians. Keep in mind that this is just a representative sampling of all the new positions opening up for which pharmacists were being sought. A quick search of Indeed today shows that currently there are 13,396 open jobs for pharmacists alone. Pharmacy technicians are in even more demand. Sampling just the new openings from last week for technicians revealed numerous postings for technicians, lead technicians, pharmacy buyers and purchasing agents, pharmacy inventory specialists and pharmacy software operators. Again a quick search on Indeed today revealed an astounding 29,554 open job positions for technicians in pharmacies. Let HCC do the work for you! HealthCare Consultants Pharmacy Staffing is recognized for being one of the leading pharmacy staffing agencies in the United States. Founded in 1989 and owned and operated by pharmacists, we serve all 50 states and have vast experience in both pharmacist recruitment and permanent placement. We attribute our 28+ years of success to always placing the right pharmacist in the right job. If you are a pharmacist looking for a job, we urge you to talk with us. With positions immediately available, contact us today online or call us at 800-642-1652 to get started. Once again, contact us today online or call us at 800-642-1652 to get started. HealthCare Consultants Pharmacy Staffing has placed hundreds of pharmacy technicians in a variety of positions throughout Florida, including retail, hospital, mail-order and specialty pharmacy settings. In fact, HCC has placed more pharmacy techs throughout the State of Florida than any other pharmacy staffing agency or company! Let us help you find the right employer and position to fit your lifestyle and needs. With open pharmacy technician jobs available in well established pharmacies throughout Florida, HCC may be the staffing agency for you! Looking for a new opportunity? Call us at (800) 642-1652 or click here to let us know your availability and we’ll get back with you right away to discuss the best opportunities to match your skills and needs.